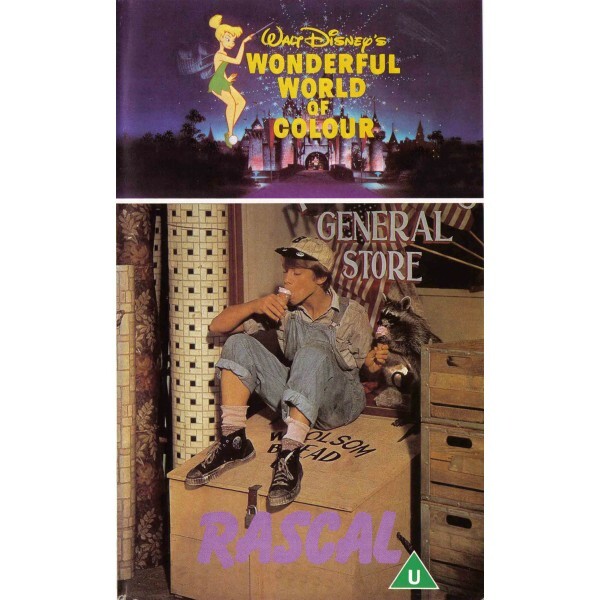 Beautifully filmed in California, the 1969 Disney production, Rascal, is adapted from the 1963 Sterling North memoirs of his youth. Bill Mumy stars as the author who reminisces on his Wisconsin boyhood during the early 20th-century. In the summer of 1918 in the little town of Brailsford Junction in central Wisconsin, 11-year-old Sterling spends his days outdoors in nature, feeling none of the social pressures that plague him. When he discovers and befriends a stray raccoon (whom he names 'Rascal'), Sterling learns that his life can definitely be enriched by this unusual relationship. Sterling's father, a widower and traveling salesman, spends much of his time on the road; and Rascal, the raccoon, is often Sterling's only companion. Three friendly neighbors keep an eye on the pair, however: Miss Whalen, his teacher; Mr. Thurman, the new minister; and Mr. Pringle, a kindly merchant. Rascal gets into trouble often, and when he digs up a neighbor's corn patch, Sterling frees him rather than putting him in a cage. Rascal is again almost killed by the lynx, and Sterling must once more save him. On his way home, Sterling takes Rascal to a race between a Stanley Steamer and a sulky, and the presence of the animal inspires Donnybrook, the horse pulling the sulky, to win the race. Sterling's sister, Theo, returns home from Chicago with her fiancé and finds the North home in a terrible mess. She takes her father to task for neglecting Sterling, and, as a result, Mr. North takes an office in Brailsford Junction. Sterling sets Rascal free in the company of a female raccoon, knowing that together the two animals will be able to protect themselves from the lynx.Typical of most Disney animal adventures, there are ample shenanigans involving the raccoon in "human" surroundings, but Rascal never goes too far or strives for entertainment at the expense of the animal.